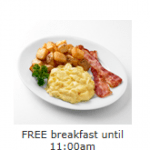 Head over to Ikea on Monday mornings to score a free breakfast. 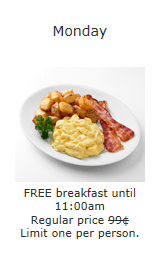 This offer is valid until 11 a.m and is valid one per person. For more information, please visit Ikea’s website here.